Did anyone else flashback to Dan punching Leo when Leo was going to get punched da a woman's husband in the episode Run Piper Run? Who do te think is the hottest? Whose the best husband to the sisters? Who do want to sleep with? fav hot guy on charmed? Streghe#The power of three is a mostra about three estranged sisters named Prue (Shannen Doherty), Piper (Holly Marie Combs), and Phoebe (Alyssa Milano) who discover they come from a long line of powerful witches and are known to evil as The Streghe#The power of three Ones. Despite being witches, they also have problems when it comes to love. a pop quiz question è stato aggiunto: What was the name of the inspector who was investigating Cole? 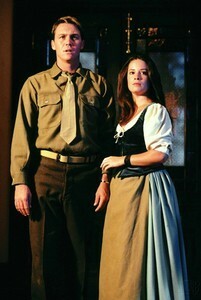 a pop quiz question è stato aggiunto: Which episode of Streghe#The power of three is this picture of Andy and Prue from? a pop quiz question è stato aggiunto: Who was the first person Phoebe told about the fact that she faked Cole's vanquish? a pop quiz question è stato aggiunto: What did Leo say Piper could do for "her own personal pleasure?" Which government agency did Leo tell Piper to pretend he worked for because he couldn't tell her anything about his work?